Taking your CBT test in Vauxhall is your first step to getting out on the roads on two wheels, and here at RideTo, we want to make the process of you completing your CBT as simple as possible. We have numerous CBT centres in and around Vauxhall, where you can book your CBT training and get out on the road. The closest CBT centre is Phoenix Motorcycle Training, in Crystal Palace. Phoenix have a large choice of bikes to train on, and they also provide jackets, boots, helmets and gloves to all their students. The local roads are quiet and provide a variety of scenarios for new riders. Phoenix are the UK's 1st MCIAC Gold Standard School, which means they provide the highest standard of motorcycle training in the UK. To the West of Vauxhall, Off The Kerb Motorcycle Training are based north of the Thames in Shepherds Bush, and boast a large off-road training area and friendly instructors. Further afield, LMRT are a long-established training school based in Lewisham. Based slightly further from central London, the local roads are quiet, and provide a good first experience for new riders. In the heart of South London, Bikewize are based in Sutton and have a good range of 50cc and 125cc motorcycle and scooters. 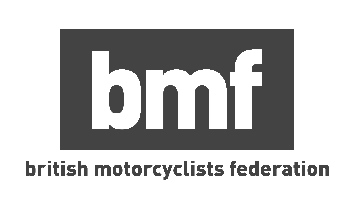 To make sure you’re allowed to take your CBT in Vauxhall, the most important thing you will need to bring is your valid UK provisional or full licence - without this you will not be allowed to ride. You don’t need to worry about buying a motorbike or scooter before your CBT - the training school will provide you with a vehicle of your choice for the day. You can choose either a scooter or motorcycle, but it makes sense to choose the same type of bike you will be using once you complete your CBT. If you do decide to use your own scooter or motorcycle, be sure to check it’s fully insured, as not all insurance policies cover training, and make sure L plates are visible both front and rear. You don’t need to worry too much about protective clothing, either. Most CBT test centres near Vauxhall will provide students with a helmet, jacket and gloves for the day, but call beforehand so you know what to expect. Wear sturdy trousers, such as a thick pair of jeans, and sturdy footwear that covers your ankles. Your instructor may turn you away if he feels you are inadequately dressed. Check the weather the night before, this is Britain, after all. If it looks like it’s going to be a cold or wet day, take an extra layer and some waterproofs, just in case. Wind chill can make you much colder when you’re riding a bike at 30mph.